Need Diesel Cleaning & Polishing Services? Click Here! Tiny blackish spots found in the diesel filter suggests major diesel contamination in the fuel tanks. A bad smell given off by the fuel may be the harmful acids the bug produces. 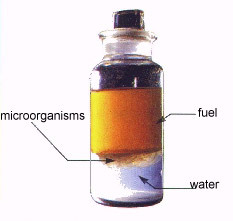 The murky, brownish, gritty fuel and the slimy jelly like by-product of diesel bug can cause a total engine shutdown. 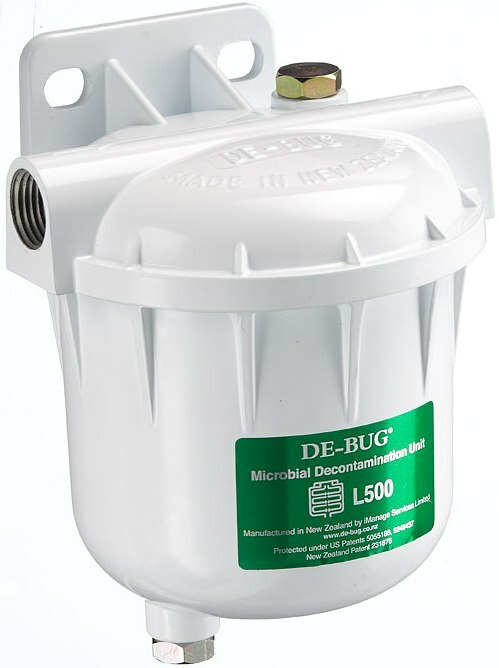 Tell tale symptoms of blocked fuel filters, smoky emissions poor fuel economy and reduced power can be fixed forever by installing a DE-BUG clean fuel unit. Is this bio-contamination sitting in your fuel tank? Up to 80% of waste found on filters, injector nozzles and in fuel tanks is organic growth, fungus, bacteria, fuel degradation and its by-products. 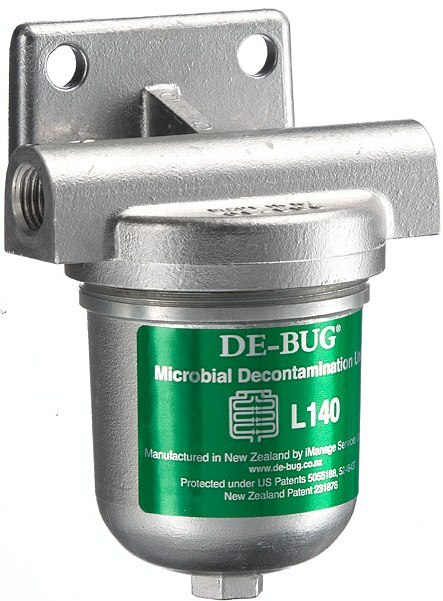 This is referred to as “diesel bug”.Cleaning and polishing your diesel fuel by installing a DE-BUG in your fuel line will help prevent and cure diesel bug. DE-BUG ensures extended service life of filters, injectors, pumps and when diesel bug has been present, increases fuel efficiency.